If you enjoy playing Bridge, plan to come to the American Club on Fridays where Bridge cards and tables will be available. 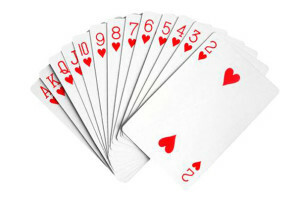 All skill levels are welcome, but players must have prior knowledge of Bridge. Lunch is available at individual expense and non-American Club members must make payment by credit card only. Please sign-up by 10am Thursday, for play on Friday. The coordinator will contact you on Thursday to confirm whether there is a four. Additional InfoAWA and American Club members only.